The Episode starts with Kesari Nandan telling Rishi Angira that his son is of soft heart and doesn’t know the difference between the trouble and enjoyment. He didn’t mean to hurt you and asks him not to punish this little boy and take back his curse. Rishi Angiri tells Kesari nandan that he can’t take back the curse, but can give him a boon, and says whenever she remind him of his power, he will remember this. Kesari nandan thanks him. Betaal tells Vikram that Ravan and his son’s adharm were increasing. Once Meghnath kidnapped the siddhis and started going towards Pataal log. Siddhis tells that they can’t be snatched. Meghnath says I will become the owner of all Siddhis. They ask him to leave them. Betaal tells that Pawan Dev met Kesari Nandan. Kesari Nandan asks how can a little boy Maruti can fight with Meghnath, pawan dev tells that Hanuman is not an ordinary boy, but 12th ansh of Mahadev. He tells that he has strength of all the Devs. Kesari nandan asks how this is possible. Pawan Dev tells everything, how Hanuman got the powers from Devtas. Kesari nandan says I have understood, and says his childhood innocence is still there, and says all Devs shall face Meghnath. Pawan dev says only hanuman can fight with meghnath and end the evil, as no devtas can fight with him. Devi Anjani does hanuman’s aarti and says I will not stop you today. She says you are given the responsibility to protect the earth and asks him to go and win from meghnath. She blesses him. Meghnath tells Devis that his Anusthan is completed and asks if they will give their siddhis to him. They all refuse to give their siddhis. Meghnath gets angry. Hanuman comes there. Meghnath asks if he is the same who killed Mayavi. Hanuman says I don’t remember your mama, but will end you. meghnath attacks him. Hanuman moves away and asks Meghnath if his powers are finished. Meghnath says you are not an ordinary boy. Hanuman says I am my mother’s boy and says Pawan Dev told that your powers could harm only Devs and humans, but I am Kapi. Meghnath says I have special powers for Kapi and says I will kill you before this Siddhis. He binds hanuman and says you will die before these siddhis. Hanuman attacks him and makes him fly away. He releases the Siddhis and says you all are free now. Siddhis get happy and give him a boon that they will come to him to help him whenever he calls them. Asht Siddhis smiles. Betaal tells that his story completes and asks why he called as sankat mochan chiranjeevi hanuman. Vikram says Asht Siddhis blessed him and that’s’ why he became Chiranjeevi. Betaal says how is this possible. Vikram tells about the Asht Siddhis importance and says that’s why he became Chiranjeevi hanuman. Betaal says you gave right answer, but you forgot again and did the same mistake, you spoke and I will leave. He runs. Bhadrakaal thinks if he depends on Vikram then he has to wait for 1100 years more. He decides to create a power, to kill Vikram and bring back infront of him. He says now Vish Purush will be created which will make him immortal. He creates a Vish purush. Vish Purush asks whom to kill. Bhadrakaal says you have to end Vikram and his arrogance. He asks him to go to Ujjaini and tell him that he doesn’t need to bring Betaal now. Betaal tells Vikram that he will not let him to take Bhadrakaal. Vikram says I will take you from here. Vikram comes to the Palace and asks Acharya about Maharani. Precap: Vikram is about to give verdict. Vish purush as Vikram to the Palace. 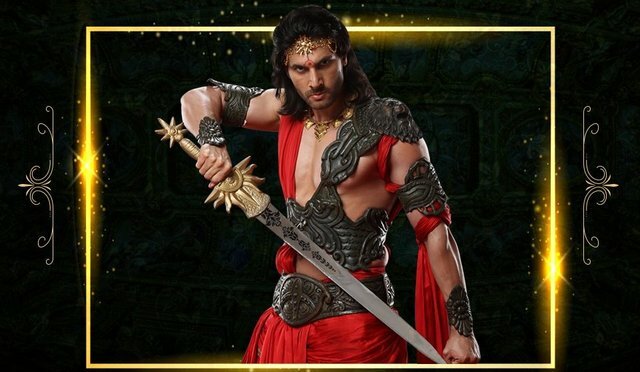 The post Vikram Betaal 28th February 2019 Written Episode Update: Maruti gets Ashta siddhis and becomes Chirajeevani Sankat mochan hanuman appeared first on Telly Updates.